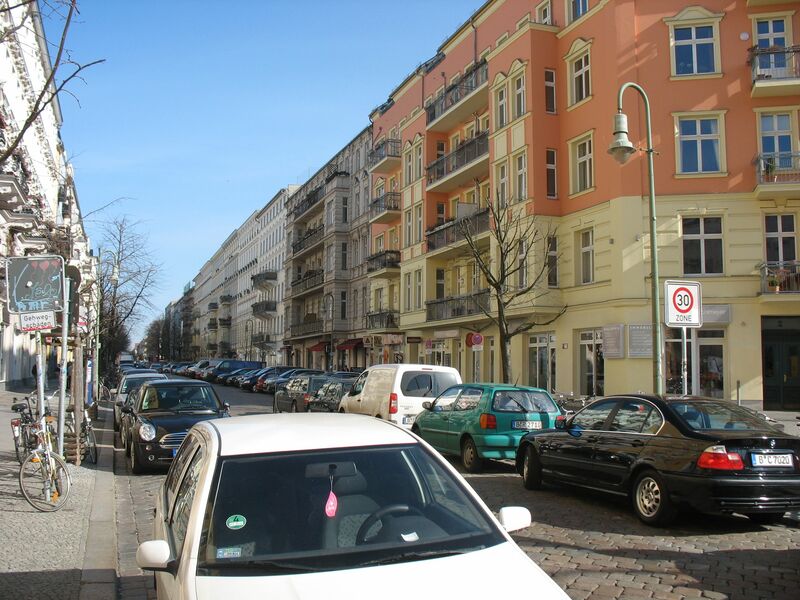 On a recent visit to Berlin, we found ourselves on Lychener Strasse, a four or five block residential street in the Prenzlauerberg neighborhood. There’s nothing special about it – just a typical street in a relatively affluent but hardly exclusive area. 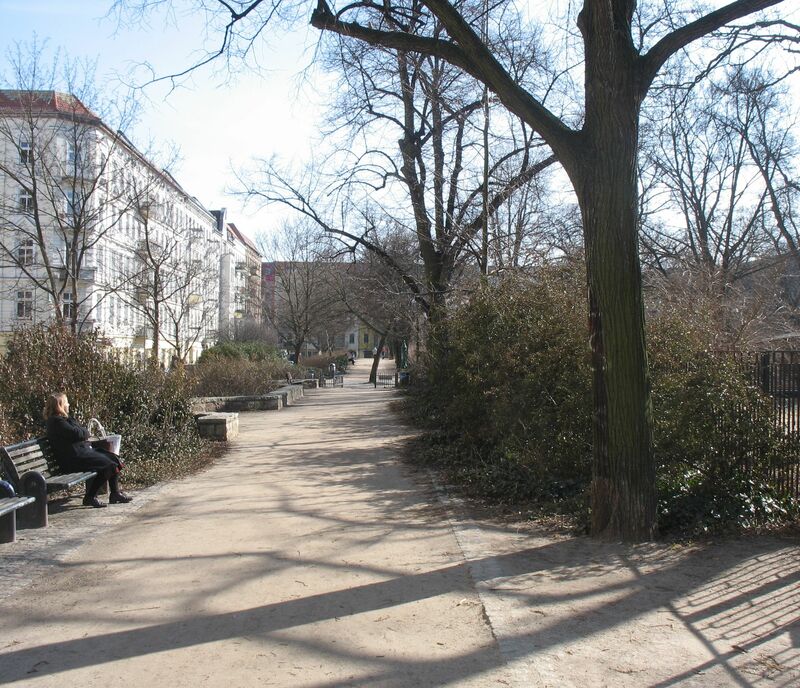 For me, it exemplified what makes Berlin such a liveable and enjoyable city. For starters, there are the residences themselves – the six storey apartment buildings that make up most of Berlin’s housing stock. Somehow, they are proportioned to give a sense of density without blocking the sky. And behind each street-facing building is an inner courtyard and a second six-storey building, giving each residence an enclosed, sheltered space away from the street. 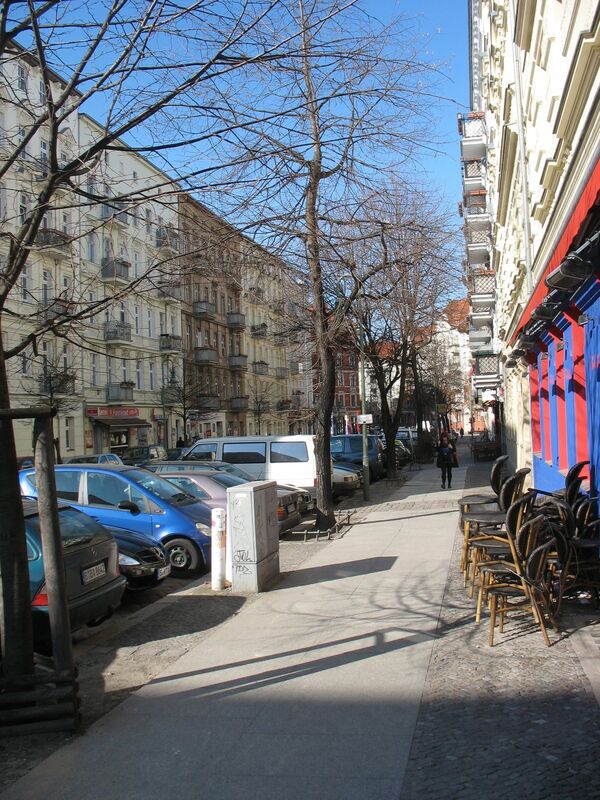 … Not to mention several cafes and restaurants — a variety typical of many Berlin streets on which I have walked. Not a one, from what I could see, was a chain store. Even if you’re not on the market for what these stores are selling, the varied looks of the storefronts make for visual interest, and a sense of commerce and community. And all those stores encourage pedestrian traffic, of course. 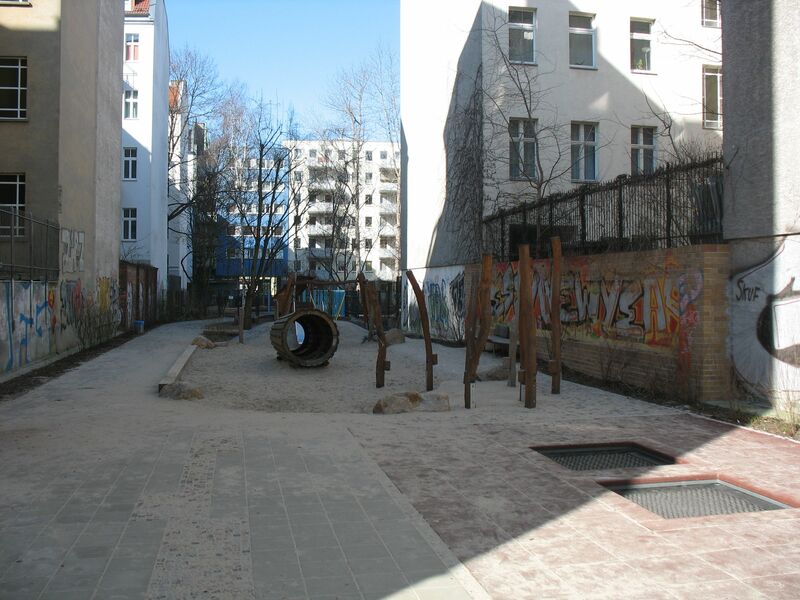 Like most squares and public spaces in Berlin, it features not just walkways and benches but a couple of playgrounds, a ball court, and areas for picnics. These parks and squares are a pleasure to see and be in, any time of the year. Finally, what makes for true urban liveability is the variety of nearby transit. 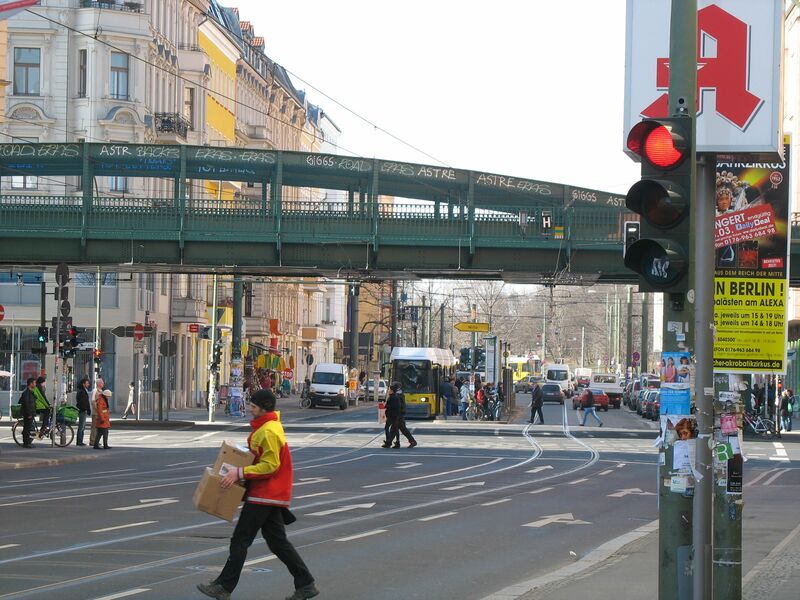 At the corner of Lychener Strasse and Danziger Strasse are a streetcar line, an U-bahn stop (elevated), and several bus lines, all connecting easily to the larger grid of well-maintained, generally on-time trains, buses, and streetcars that permeate Berlin and its suburbs. This entry was posted on March 23, 2012 at 7:49 pm and is filed under Uncategorized. You can follow any responses to this entry through the RSS 2.0 feed. You can leave a response, or trackback from your own site.